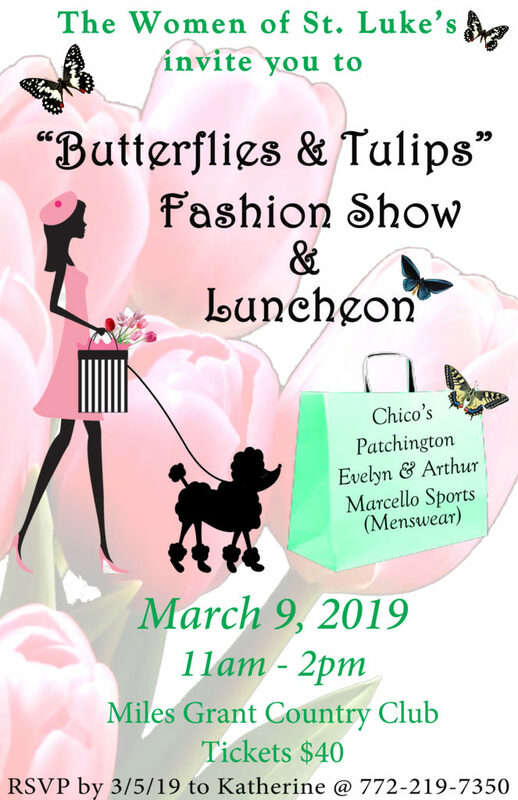 Women of St. Luke’s Episcopal Church will have its Butterflies & Tulips Fashion Show & Luncheon on Saturday, March 9 from 11 a.m. to 1 p.m., at Miles Grant Country Club, Port Salerno. Featured will be fashions from Chico’s, Patchington, Evelyn & Arthur and Marcello Sports (menswear). RSVP by March 5 to 772-219-7350.